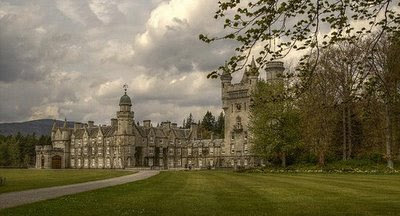 "Halloween at Balmoral Castle. – This time-honoured festival was duly celebrated at Balmoral Castle on Saturday evening in a manner not soon to be forgotten by those who took part in its enjoyments. "As the shades of evening were closing in upon the Strath, numbers of torch-lights were observed approaching the Castle, both from the cottages on the eastern portion of the estate and also those on the west. The torches from the western side were probably the more numerous, and as the different groups gathered together the effect was very fine. Both parties met in front of the Castle, the torch-bearers numbering nearly 100. "Along with those bearing the torches were a great many people belonging to the neighbourhood. Dancing was commenced by the torch-bearers dancing a “Hulachau” in fine style to the lilting strains of Mr. Ross, the Queen’s Piper. The effect was greatly heightened by the display of bright lights of various colours from the top of the staircase of the tower. After dancing for some time the torch-bearers proceeded round the Castle in martial order, and as they were proceeding down the granite staircase at the north-west corner of the Castle the procession presented a singularly beautiful and romantic appearance. "Having made the circuit of the Castle, the remainder of the torches were thrown in a pile at the south-west corner, thus forming a large bonfire, which was speedily augmented with other combustibles until it formed a burning mass of huge proportions, round which dancing was spiritedly carried on. The scene at this juncture was one to be long remembered by those who witnessed it. The flames of the bonfire shot up to an immense height, illuminating the Castle wall with a ruddy glare, while the figures of the dancers in their agile and grotesque movements were shown to great advantage. "Her Majesty witnessed the proceedings with apparent interest for some time, and the company enjoyed themselves none the less heartily on that account." I wish I could go to something like that! I was just researching Halloween in Brooklyn, and the papers noted that it was mainly celebrated (in the mid-19th century) by the Scottish families. Doesn't it?! Imagine how the huge shadows of the dancers must have been cast onto the castle walls. 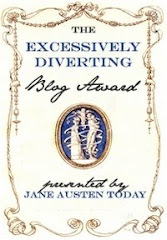 I am doing research for a class on Victorian Women and entertaining/events. I am focusing on Scotland and Scottish parties during that era. Do you know of other articles in your archives or other resources? Thanks! Hello! 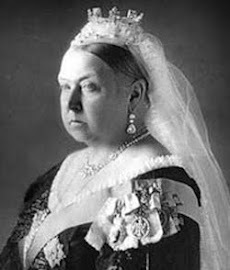 What comes to mind right away are the dancing parties hosted by Queen Victoria at Balmoral. You can see a movie version of one in the film "Mrs. Brown." A librarian at your school would be able to help you find an edition of the queen's Highland journals and point you to other sources. Good luck; your project sounds very interesting!